Be assured, if you walk with Him and look to Him, and expect help from Him, He will never fail you. If we desire our faith to be strengthened, we should not shrink from opportunities where our faith may be tried, and therefore, through trial, be strengthened. There was a day when I died; died to self, my opinions, preferences, tastes and will; died to the world, its approval or censure; died to the approval or blame even of my brethren or friends; and since then I have studied only to show myself approved unto God. 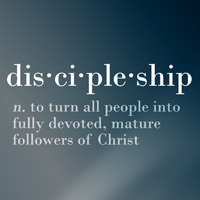 A servant of God has but one Master. It ill becomes the servant to seek to be rich, and great, and honored in that world where his Lord was poor, and mean, and despised. God judges what we give by what we keep. The Christian should never worry about tomorrow or give sparingly because of a possible future need. Only the present moment is ours to serve the Lord, and tomorrow may never come. A brother with small earnings may ask,”Should I also give? My earning are already so small that my family can barely make ends meet.” My reply is, ”Have you ever considered that the very reason your earnings remain so small may be because you spend everything on yourself? If God gave you more, you would only use it to increase your own comfort instead of looking to see who is sick or who has no work at all that you might help them. If the Lord fails me at this time, it will be the first time. The Spirit and the Word must be combined. If I look to the Spirit alone without the Word, I lay myself open to great delusions also. If the Holy Ghost guides us at all, He will do it according to the Scriptures and never contrary to them. The vigor of our spiritual life will be in exact proportion to the place held by the Bible in our life and thoughts. The less we read the Word of God, the less we desire to read it, and the less we pray, the less we desire to pray. I saw that the most important thing I had to do was to give myself to the reading of the word of God, and to meditation on it. . . . What is the food of the inner man? Not prayer, but the word of God; and . . . not the simple reading of the word of God, so that it only passes through our minds, just as water runs through a pipe, but considering what we read, pondering over it, and applying it to our hearts. Nine-tenths of the difficulties are overcome when our hearts are ready to do the Lord’s will, whatever it may be. I live in the spirit of prayer. I pray as I walk about, when I lie down and when I rise up. And the answers are always coming. Thousands and tens of thousands of times have my prayers been answered. When once I am persuaded that a thing is right and for the glory of God, I go on praying for it until the answer comes. 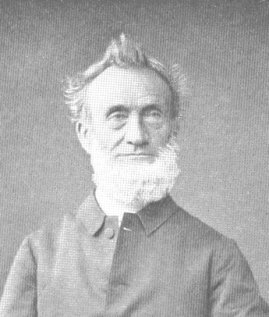 George Mueller never gives up! To learn strong faith is to endure great trials. I have learned my faith by standing firm amid severe testings. Faith does not operate in the realm of the possible. There is no glory for God in that which is humanly possible. Faith begins where man’s power ends. Faith is the assurance that the thing which God has said in His word is true, and that God will act according to what He has said in his word… Faith is not a matter of impressions, nor of probabilities, nor of appearances. According to my judgement the most important point to be attended to is this: above all things see to it that your souls are happy in the Lord. Other things may press upon you, the Lord’s work may even have urgent claims upon your attention, but I deliberately repeat, it is of supreme and paramount importance that you should seek above all things to have your souls truly happy in God Himself! Day by day seek to make this the most important business of your life. This has been my firm and settled condition for the last five and thirty years. For the first four years after my conversion I knew not its vast importance, but now after much experience I specially commend this point to the notice of my younger brethren and sisters in Christ: the secret of all true effectual service is joy in God, having experimental acquaintance and fellowship with God Himself.